Take a look at my panorama from Tromso, Norway for a juxtaposition between cityscape and landscape. New York City is full of landmarks that people throughout the world recognise, it is impossible to choose one of more importance. The Statue of Liberty, the Empire State Building, Grand Central Station and many more. New York City is truly the capital city of landmarks. 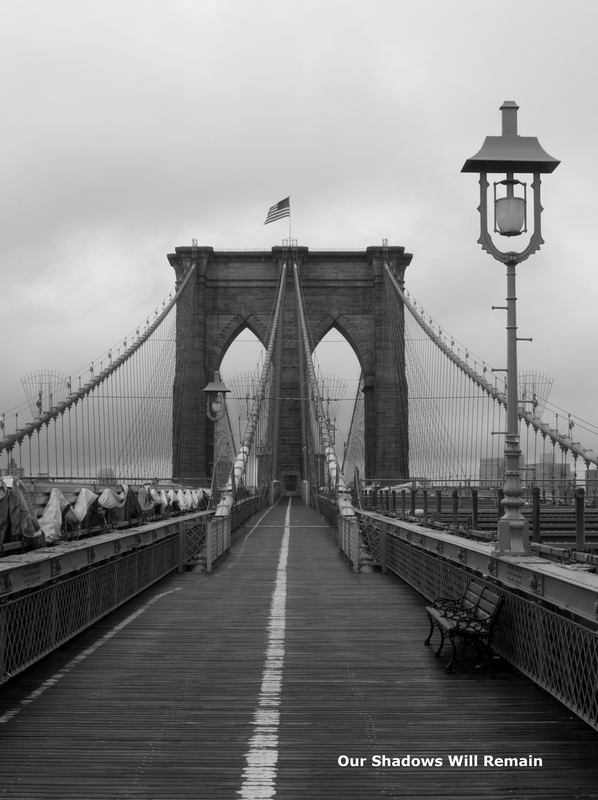 Brooklyn Bridge was opened, after 14 years of construction, to the public on May 24 1883, at that time it connected the two cities as Brooklyn didn’t become part of New York City until 1898. Since then it has become a cultural icon and a National Historic Landmark, photographs are seen of the bridges unique towers all over the world. While taking a boat tour of the New York harbour a local man started talking to me, he had a large knowledge about New York and was willing to share it with whoever would listen without any encouragement. He explained that during the construction of the bridge in the 1800s many people were killed and because of that the bridge is always flying an American Flag. These flags were recently in the news when one morning they had gone missing and were replaced with bleached white flags. This turned out to be done by two German artists to celebrate the anniversary of the death of John Roebling, the German born engineer who built the bridge. Read more about the stunt in this interesting article from the New Yorker. What do you think is the best landmark in New York City?